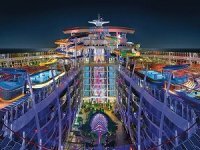 Celebrity Cruises has taken delivery of its brand new 117,000 gross ton cruise ship, Celebrity Edge, after 23 months of construction. Today (October 31) is a very special day for all of us as we have been eagerly anticipating this moment for more than four years,” said Celebrity’s President and CEO Lisa Lutoff-Perlo. 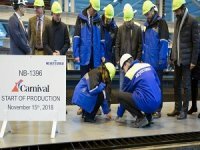 “There are so many aspects of Celebrity Edge that are more groundbreaking than we could have ever imagined, and it is all a testament to the hard work, creativity and talent of everyone who helped bring this magnificent ship to life.” Following the Celebrity Edge check-signing and delivery ceremony, the Chantiers de l’Atlantique shipyard hosted the ceremonial keel laying of Celebrity Apex, where a 762-ton block was lifted in the air and a lucky coin was placed on the dock before the block was lowered into position. 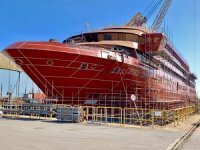 Celebrity Edge, with 1,377 crew members from 72 different countries, departed from Chantiers de l’Atlantique shipyard in Saint Nazzaire, France, on November 6, heading for T25 at Port Everglades in Fort Lauderdale, Florida, to prepare for its maiden voyage. 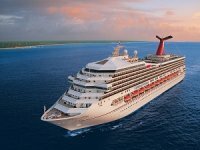 The ship is set to embark on its maiden voyage in 25 days with two maiden Caribbean sailings. 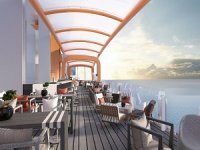 Then, in spring of 2019, Celebrity Edge crosses the Atlantic again sailing to the Mediterranean with stops in Barcelona and Rome. 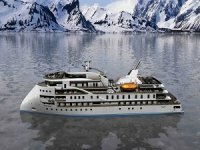 The ship is 300 meters long, 38 meters wide and has the capability to carry 2,900 guests in 1,450 staterooms. 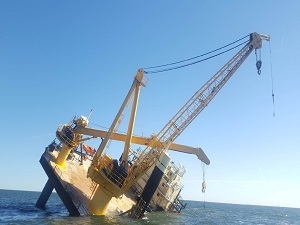 One of the notable features of the ship will be the so-called Magic Carpet, a 90-ton movable platform that will be cantilevered over its side. This floating platform reaches a height of 13 stories above sea level. The ship will also feature a rooftop garden, dubbed the Eden.